An odd thing happened over the weekend at New York Comic Con. Marvel announced that there was a planned partnership with the defense contractor Northrop Grumman. There was a promotional comic book image featuring the Avengers and the Northrop Grumman Elite Nexus (N.G.E.N.) that had to be yanked due to public outrage over the agreement. Fans even brought up Tony Stark and how he got out of the weapons business after he saw its impact first hand. Marvel heard the outcry, cancelled the partnership and the event announcing it, and this is likely the last we will hear of it. Babyteeth #5 - Sadie, in addition to dealing with the possibility that her newborn is the Antichrist and that there is an assassin currently trying to kill him, now learns that her sister is working with a warlock who is part of a secret organization known as "The Way". The life of a young mother is never easy, but Sadie has it particularly rough. What I love about this book is the way that author Donny Cates walks the fine line of keeping this book light and touching, while interweaving the bigger picture of the competing factions we are introduced to in this issue. Sadie is not only confronting the difficulties of being a young mother and family drama, she now has to worry about "The Silhouette", a group who believes that her child will bring about the end of days, and whether or not she should trust Dancy Cherrywood, the warlock who just saved her life. 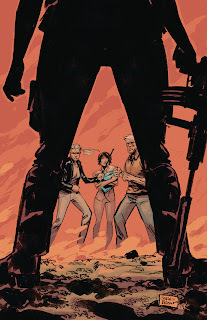 Loving the direction this series is heading and really enjoying the multiple titles from Cates I am currently reading. He is quickly becoming one of my favorite authors. 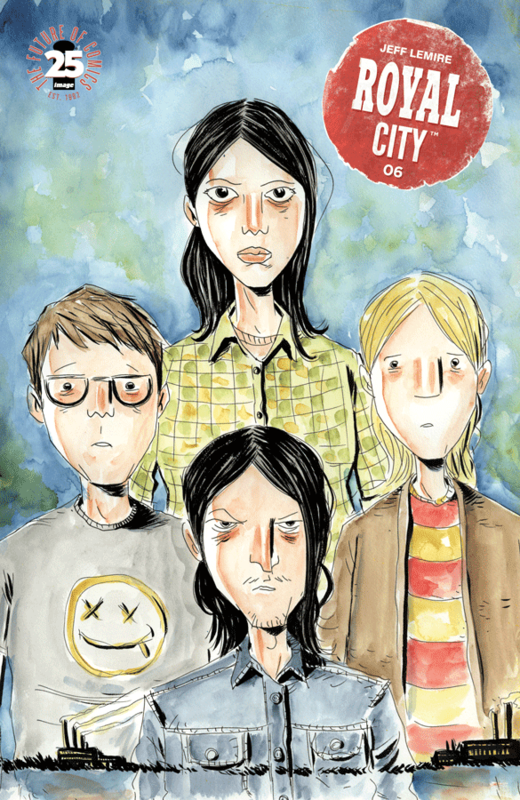 Royal City #6 - Jeff Lemire gives us a glimpse into the past as he takes us to 1993 as we learn more about the family dynamics, Tommy's life before his death, and some of the day to day activities that the family engaged in. On the surface this feels like a very simple issue, but it was nostalgic and was an issue that made me reflect on my life as a teenager in that same time period. I am still not sure on where this series is heading, but it evokes feelings of Sweet Tooth and I am really enjoying every single panel. I think that this flashback will cause a lot of readers to revisit the first five issues to see what connections they are able to draw. At least that is what I plan on doing. Daredevil #27 - This is by and far my favorite current Marvel series. 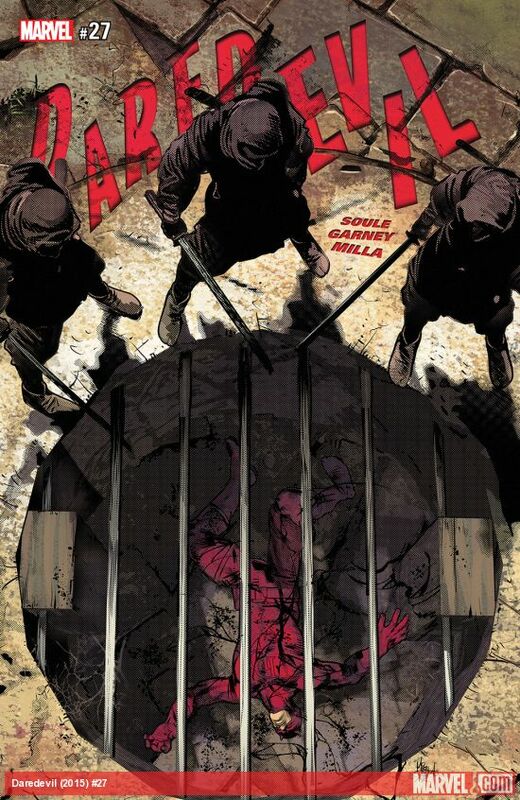 Charles Soule has done a phenomenal job with Daredevil and the current arc is a must-read. In this issue we learn how Blindspot came to China and the price his family paid to get him his sight back. Trapped in a pit, Daredevil is forced to listen to the horrifying truth, listen to the screams of Tenfingers who is thought to be dead, and forced to confront a demon if he wants to save his former partner. This is a dark and gritty arc and Ron Garney, Matt Milla, and VC's Clayton Cowles are absolutely crushing the art in this series. Doctor Aphra #13 - The arc that featured the soul of an awakened Jedi trapped in a droids body came to its conclusion in this issue and left me feeling a bit underwhelmed. 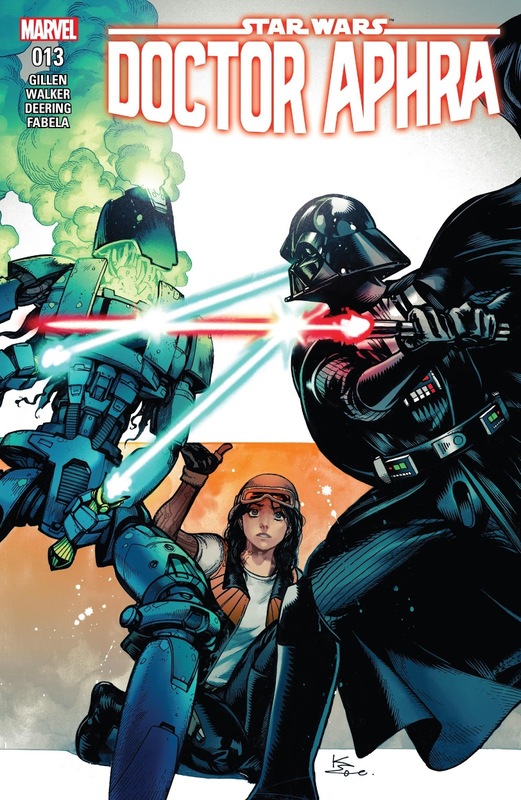 I have really enjoyed this spin-off and think Aphra is a terribly interesting character who walks the fine line of good versus evil quite well. I think what frustrated me a bit with the conclusion of this series is the lack of a payoff from Vader. He showed up, defeated Rur, and simply returned to the Emperor with no repercussions for Aphra. Given their past relationship, I expected more than Vader allowing her to escape and take a leave of absence. I am hopeful that this will be rectified in the next issue, but this oddly felt like a series finale even though it is slated as an ongoing book.